So, as some of you know, I just finished up a two week run of the show on Sunday the 17th. And so I was thinking… wouldn't it be interesting to talk about the similarities and differences in the two versions? (thanks Sky, for letting me do so!) Just a reminder… don't forget to check out the books! I know I will be doing so as soon as I can! Jane and Michael Banks have had a slew of nannies in their young lives. 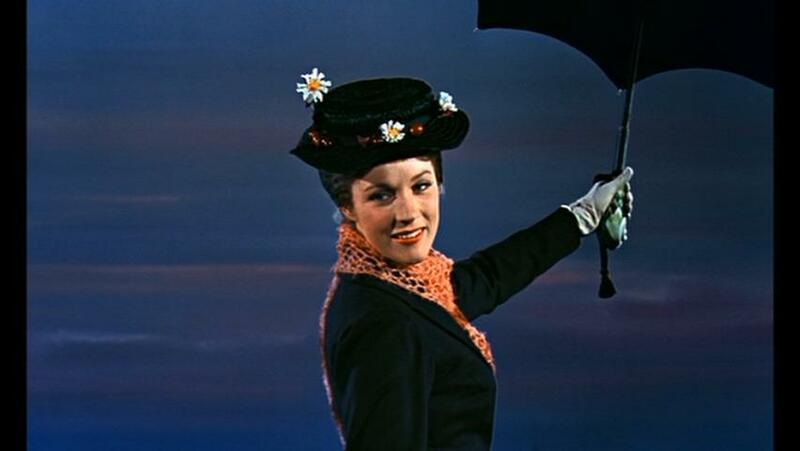 But one day a new nanny, Mary Poppins, comes along and changes the lives of everyone in the household. Mr. George Banks had a horrible nanny, Miss Andrew (aka The Holy Terror), as a child and it is why he turned out the way he did. In fact, he used to be a lot like Michael… a dreamer who loved astronomy, Mrs. Corry's gingerbread cookies, and flying kites! Mrs. Winifred Banks used to be an actress, and struggles with her current life, because she can't fit in with society ladies or get anything right in her husband's eyes. She's not the suffragette and absentminded but caring mother of the movie. This woman is real, intelligent, and very involved in the lives of her children. Also, the staff is different. Instead of Mrs. Brill (the cook) and Ellen (the younger one) they're sort of combined into one character also named Mrs. Brill, and we have a butler or something named Robertson Ay. And gosh is their friendship funny! Some of the songs have been moved around, others taken out (Stay Awake,for example) or added in (like Playing the Game), and the ones that are familiar… well, really aren't. Take Supercalifragilisticexpialidocious, for example… the verses are different, it takes place in Mrs. Corry's talking shop rather than in Bert's drawing, and most noticeable of all… you spell out the letters, both verbally and physically. Or Feed the Birds… which is no longer sung in the nursery before the bank scene, but rather is moved to after the visit to the bank, and is a duet between MP and the Birdwoman. Let's Go Fly a Kite is sung by the entire cast, headed up by Bert, the children, and a park-keeper at the beginning of Act 2, rather than by the family and cast at the very end. 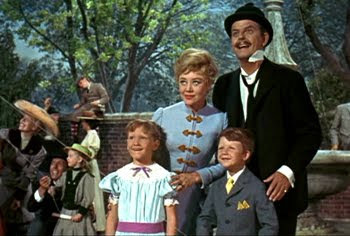 Or perhaps Jolly Holiday… early in the show, in the park with dancing statues (and cameos by penguins!) and other folk as the first outing with Mary Poppins, rather than during the painting excursion. And although Bert and Mary sing most of it, the rest of the cast sings as well. A Spoonful of Sugar is moved to in the kitchen, rather than in the nursery. The bank is different too… instead of the familiar song, we get Precision and Order. Also, there is no run on the bank by the children and others. And Mr. Banks isn't fired, though he thinks he will be! And yes, even Step in Time is a bit different (but I like it even better than the much loved movie version)! I'm sure there are more small and large differences, but I can't quite seem to think of them. Although I have to say… I think I might like the stage version a tad bit better than the beloved film of my childhood (and my parents' childhood!). Why? Because as a story person, I really appreciate the further story development on the part of every character. And how they all come together to form the whole. What is this story really about? A nanny and some children? Well, sort of… but it's really a story about the importance of family, and the transformation of this one. Which in turn, transforms all of us. If you reach for the stars all you get are the stars, but we've found a whole new spin. If you reach for the heavens you get the stars thrown in! Anything can happen if you let it. Life is out there waiting, so go and get it. Grab it by the collar, seize it by the scruff. Once you've started living life you just can't get enough. Anything can happen it's offfical. You can choose the Super or the Superficial. Sally forth the way we're steering. Obstacles start disappearing. Go on chase your dreams, you won't regret it. Anything can happen if you let it! Note: Many thanks to Disney (and the people of the internet) for the pictures, video, and lyrics. Nothing belongs to me, except my thoughts and observations. Thanks for reading! Aww, yay! I wasn't sure I was quite satisfied with how it turned out, so I'm glad someone loved it! That makes my night!